So excited to have beauty expert, Meg, from Meg. O on the Go here today to share some of her expertise on natural oils. 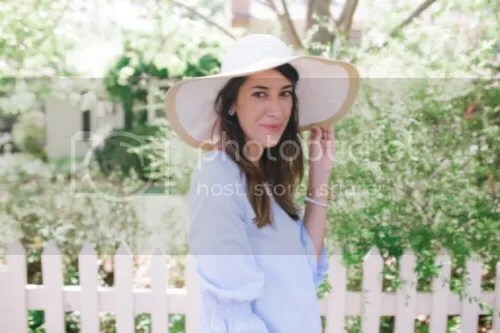 Meg’s blog has always been a source for myself to learn about new beauty products I have not heard of or one’s I have heard of and want to know more. Her videos are just the best and she will keep you entertained while learning about all kinds of products. I appreciate a girl with make up skills and humor! Thank you Meg for being here today! Enjoy her post below! It goes without saying that once we become pregnant, we start to worry about every little thing that we put in, on, and around our bodies. We want our little babies to grow strong and healthy! Taking care of our skin and hair is no exception. One easy way to implement a natural beauty routine is to use natural oils in place of traditional products. I am a huge advocate of natural oils whether I’m pregnant or not. They have so many benefits. You can’t beat pure, potent ingredients without any chemical fillers! 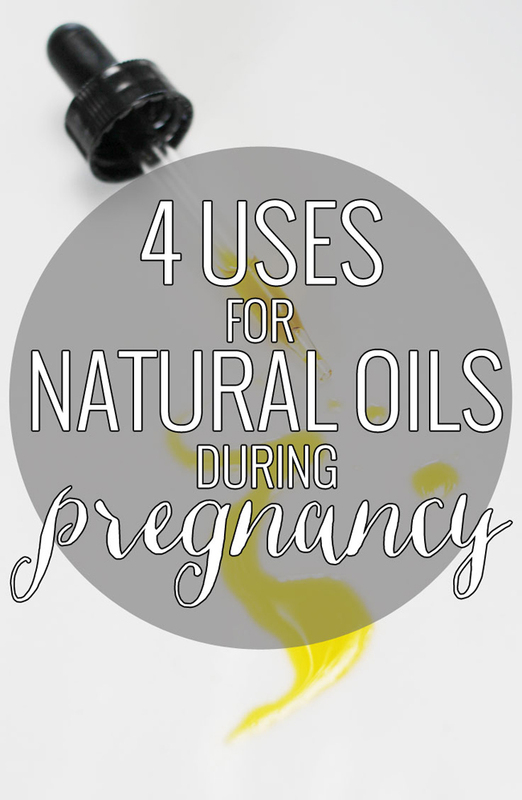 Today I’m here to share with you four of my favorite ways to use natural oils during pregnancy and beyond. I’m at the very end of my second pregnancy and can say with certainty that they have helped me so much. Don’t be afraid of oils, especially on the skin! If you are acne prone as I am, oil helps fight oil. I know that seems counter-intuitive, but it really is true. Extra virgin olive oil is my absolute favorite makeup remover of all time. I keep a little bottle in my shower and I would be lost without it. It’s way more effective than any other traditional makeup remover or wipe I’ve ever tried. I first use the olive oil, let it sit on the skin for a few minutes and then follow up with my cleanser. Some people are put off by the smell of olive oil, so coconut oil is another great option to use, but a little more expensive. I go through my oil so fast, I like to stick with olive oil to save a little money. Sometimes pregnancy can do some interesting things to our hair. While some of us may experience the best hair we’ve ever had, others are left with dry, coarse, and brittle hair. Thanks, pregnancy hormones! During my first pregnancy, I definitely experienced some dry hair (not so much this time, hallelujah). Luckily, I make a killer DIY Hot Oil Treatment using coconut oil, olive oil, and honey. It really penetrates the hair follicle and helps moisturize those dry locks. I love doing this treatment every couple of weeks when I’m experiencing dry hair. You can also use extra virgin coconut oil or pure argan oil as a leave-in hair smoother. Great way to fight frizz! Some of the most expensive, high end skin care products have natural oils listed as one of the first ingredients. Oftentimes I just like to use a pure oil as a moisturizer on my face. It can be a bit overwhelming to figure out which of your anti-aging night creams are safe for pregnancy, so it’s always best just to go natural. Two of my favorite oils to use on my face as moisturizer are extra virgin coconut oil and rosehip seed oil. Like I said, they do not make me break out or make my skin oily whatsoever. I use them all over the face, including under my eyes. I find that they work best as evening moisturizers before bed. I most definitely prefer a body oil over a lotion when it comes to my growing belly. There are lovely blends that you can get commercially. I definitely recommend Mother’s Special Blend because it contains pure cocoa butter, almond and pecan oil, and vitamin E while also containing zero preservatives or parabens. You can also make your own “belly blend” by visiting a local health food store and picking out some small portions of your favorite oils and mixing them in your own container. Make sure to keep your belly oil in a cool, dry place. Don’t forget to keep using your belly oil after the baby gets here! It’s just as important to keep that skin supple and moisturized as your belly returns to it’s pre-pregnancy shape. If that even happens (fingers crossed!). I hope you start implementing more natural oils into your beauty routine, whether you are pregnant or not! As a final note, I am not a dermatologist or medical professional, so it’s best to get the blessing from your doctor if you have any questions. Best of luck to you, mama! Meg is amazing! This tips are helpful for the non-prego’s, too!! Never knew I could take off my eye make up with olive oil!! use the web for that purpose, and get the latest news.